Must be 18 years or older, U.S. Entrants only please. 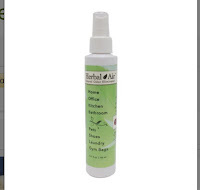 Win a bottle of Healing Tree Products Herbal Air Deodorizer which deodorizes the air amazingly. Much better than any other commercial product. One spritz of this and air is fresh and clean!